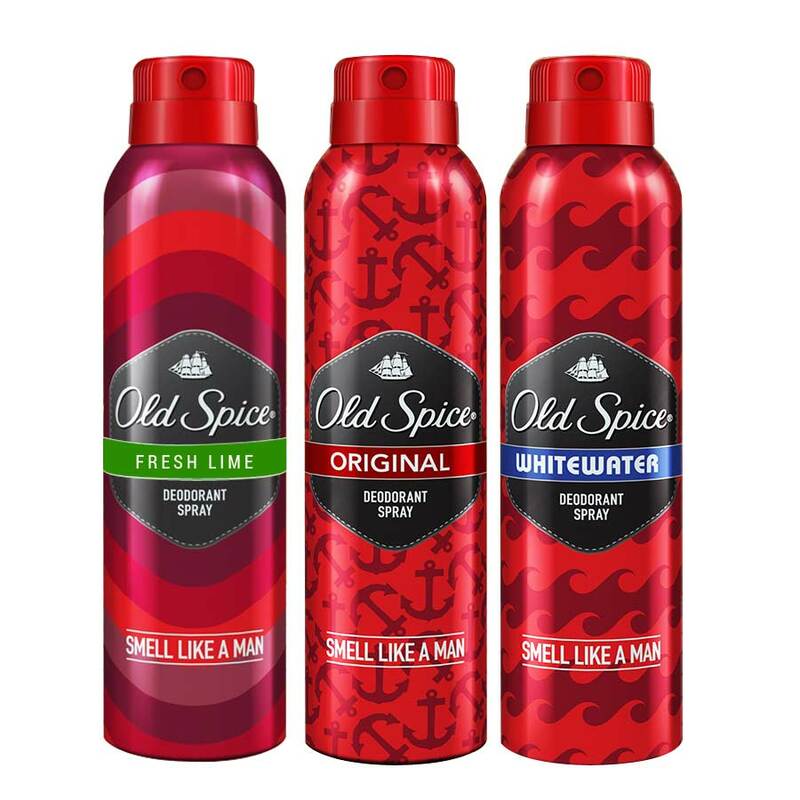 Old Spice Old Spice Original, Fresh Lime and Whitewater Pack of 3 Deodorants A classic fragrance from Old Spice Deodorant Spray overwhelms your senses with a refreshing feel. A fresh, clean fragrance wraps your body to keep you feeling fresh and energetic. A luxurious blend of oceanic elements, the Old Spice Deodorant Spray brings out a strong and masculine fragrance. Make the most of being a gentleman of taste with Old Spice Deo Spray. Product #: Regular price: Rs.597INR597(Sale ends 01 January ) Available from: DeoBazaar.com Condition: New In stock! Order now!